On June 6, I started a 30 day sugar detox. I put it off because giving up sugar is stupid and terrible, and I can’t think of any sane reason to voluntarily subject myself to that horror. But I’m doing it. Not for sanctimonious health-related reasons, that I smugly relate to people while sipping unsweetened kombucha tea at a yoga studio after getting my chi aligned. No, I’m giving it up because one fine day, as I was stress-eating sour patch kids at 9:00 a.m. at my desk, I wondered if it was actually possible. Ground rules: I’m giving up processed sugar. Natural sugars like honey and maple syrup are ok, but not too much. Sneaky covert added sugars like dextrose are out. Booze is in, because I’d like to still have friends at the end of this, and a Sarah without cupcakes OR wine is…not a pleasant human being. And yes, I know wine is chaptalized, but the sugar is converted to booze. Soooo…it gets the ok. It has been four days. Mostly what I’ve learned is that sugar is in f***ing everything. I will report back on the experience occasionally with an “Oh what the f***! There’s sugar in that too?!? !” update. So to get us started, here are some fun foods that you may not know have sugar in them! 26 days left. Stay tuned. 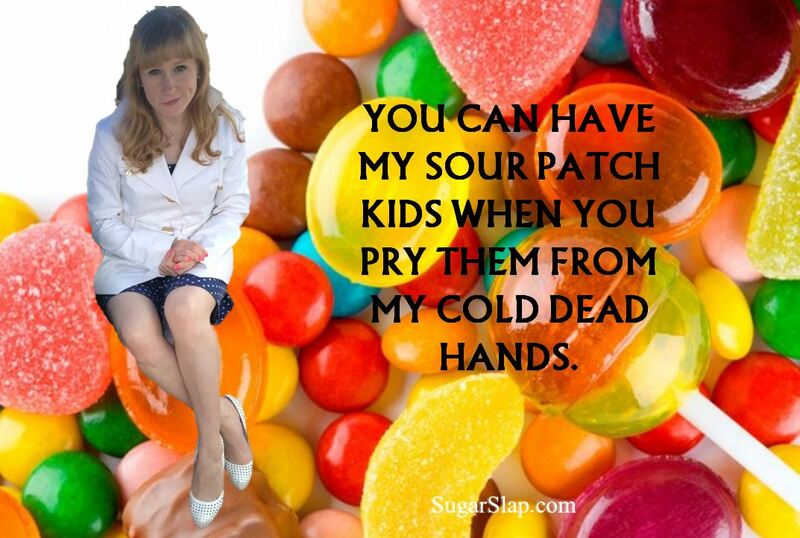 This entry was posted in Humour and tagged addiction, candy, health, healthy eating, sugar, sugar detox, there's sugar in that? !, ugh, wtf. Bookmark the permalink.